Great primer explaining how energy storage onboard vessels cuts fuel consumtion and improves performance when used for peak shaving, spinning reserve, silent and Zero emissions operation, and other applications on many vessel types. Richmond, British Columbia, Canada and Bergen, Norway – November 22, 2018 – In Spring 2018, Corvus Energy revealed the plans for a new fully automated factory for maritime batteries in Bergen, Norway. We are proud to announce that contracts for the factory location and the production equipment were finalized and signed this week. The new factory will be located at Midtun in Bergen, about a mile south of the city center. The supplier chosen for the production equipment is Intek Engineering AS of Raufoss, Norway and the factory will be fully operational in Q3 2019. The automated production was developed through a concept study conducted with Sintef Manufacturing and will enable increased flexibility and scalability in addition to series production and implemention of new products. “State-of-the-art production equipment in combination with digitalization and innovative production techniques makes this a unique solution with a total capacity of 400 MWh. We chose Intek Engineering AS from Raufoss to supply the equipment due to their extensive expertise and track record with automated production lines,” says Gisle Frydenlund, EVP Operations and Projects at Corvus Energy. “Intek are proud and honored to be chosen as a partner for building the new battery factory for Corvus. We are looking forward to the cooperation with such a future-oriented and ambitious company as Corvus Energy. Together we will design and build a highly flexible and state-of-the-art system for production of sustainable and green energy storage for the maritime sector,” states Sølvar Flatmo, Chief Strategy Officer at Intek Engineering AS. The existing factory in Canada is also being upgraded with a semi-automated production line to increase capacity. All in all, Corvus Energy will increase production capacity eight-fold. Battery-based energy storage systems (ESS) are at the heart of electric and hybrid marine systems and have proven effective to reduce the emissions associated with burning fossil fuels, reduce operating costs, reduce capital costs in many cases, and improve safety and comfort. Corvus Energy (Vancouver, Canada; and Bergen, Norway) pioneered the use of lithiumion battery technology in the marine industry in 2010, and since then has worked with every major marine electrical system integrator to performance, safety and reliability. Corvus ESSs –ranging in capacity from 100 kWh to 3 MWh – are deployed in a variety of marine vessels, as well as port equipment such as gantry cranes. In hybrid systems, the battery’s stored energy may be drawn on intermittently for “peak shaving” to balance variable loads, such as in dynamic positioning. Batteries may also be used for spinning reserve, backup power, or harbour manoeuvring operations. In allelectric operation, the battery powers it all – the propulsion system and house loads – and is typically charged by plug-in shore power. Corvus has supplied ESSs for numerous industry firsts, including car ferries (Norled Ampere, Scandlines); offshore support vessels (Eidesvik Viking Princess, Østensjø Rederi Edda Freya, North Sea Shipping North Sea Giant, SEACOR Maya); workboats and tugs (Selfa Arctic Karoline, Wärtsilä-designed hybrid fish farm processing and transport vessel as well as hybrid icebreaking tug); and cargo vessels (Stenersen, Seaspan Reliant and Swift). Year after year and vessel by vessel, the marine industry – particularly in Norway – has tested the efficacy and safety of various battery technologies and power management schemes. Operating cost savings and a quick payback: Fuel cost savings in millions of dollars annually are the major contributor to a healthy return on investment for electric and hybrid marine vessel projects. Depending on the operating profile of a vessel, i.e., how much time is spent in harbour, transit, dynamic positioning, hauling, or standby, fuel consumption can be cut between 15% and 30%. Of course, for all-electric operation, fuel consumption is cut by 100%. Capital expenditure avoidance: Batterybased ESSs can replace one or all of the fuel-based generators, avoiding hundreds of thousands of dollars in capital cost, as well as ongoing maintenance costs. Additionally, the capital costs for emissions scrubbers, catalytic converters, etc. required to comply with emissions regulations may also be avoided. Emissions reductions: Using battery ESSs instead of burning fuel reduces emissions of greenhouse gases and other noxious gases. Further, less particulate matter is emitted, especially important in Polar Regions to curb melting. Safety and performance: Crews report a sense of better safety from highly responsive dynamic positioning and instantaneous backup power. Noise and vibration reduction: Crews are also more comfortable without the drone of diesel engines. Moreover, batteryoperated vessels are less disruptive for ocean wildlife. Compliance and competitiveness: Increasingly a necessity in some jurisdictions, battery power makes vessel operators more competitive with operators, charterers, and environmentally-conscious passengers. Performance: Corvus ESSs boast the industry’s highest energy density and C-ratings (a measure of charge/discharge rates). Together these equate to superior, cost-effective performance. Safety: Patented designs for thermal management and thermal runaway isolation have helped Corvus ESSs earn the highest safety standards from maritime authorities such as DNV GL, Lloyd’s Register and ABS. Experience: The 130+ projects using Corvus ESSs supply over 120 MWh of stored energy and have amassed over 1.5 million operating hours. With more experience than all other suppliers combined, Corvus ESSs help protect customers’ investments. R&D: Corvus invests significant funds in core research, cell analysis, and ESS design and development. The team’s work earned Corvus the coveted Innovation of the Year from Electric & Hybrid Marine Technology Expo in 2017. Leaders in the marine industry can stand proud of accomplishments to date in environmental stewardship and corporate social responsibility. But there is still a long way to go. The marine industry currently accounts for 3% of CO2 emissions, but that could grow to 20% by 2050 if global shipping grows at its current rates without emissions abatement. Corvus Energy’s mission is to accelerate the shift to environmentally sustainable energy solutions for maritime industries. Richmond, British Columbia, Canada and Bergen, Norway – November 5, 2018 – Corvus Energy is pleased to announce that it has achieved ISO 14001:2015 certification for its Environmental Management System and Processes in its operations in Bergen, Norway. Certification in its Richmond, BC, Canada offices was achieved in March 2018. 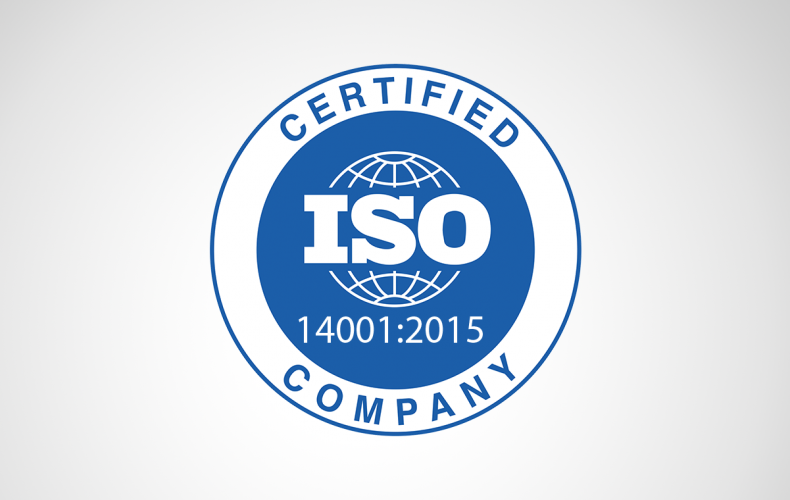 The scope of the ISO 14001 certification includes the environmental aspects of Corvus’ design, manufacturing and service of products that Corvus can either directly control or influence considering the life cycle perspective of lithium-ion based energy storage systems (ESS).